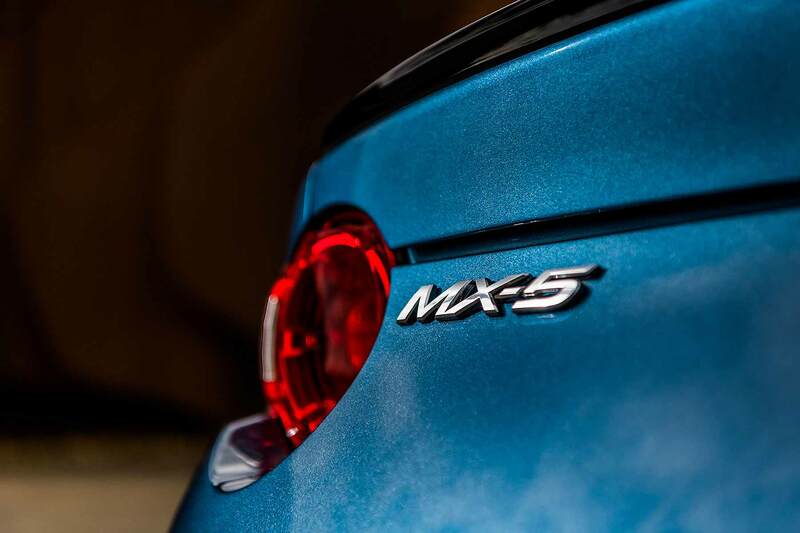 The revised-for-2019 Mazda MX-5 range will go on sale from 1 September 2018 with prices starting from £18,995. 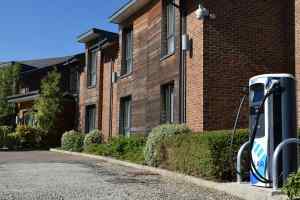 All models are now compliant with the new WLTP fuel economy test and the range-topping 2.0-litre variant has received a power boost to 184hp. 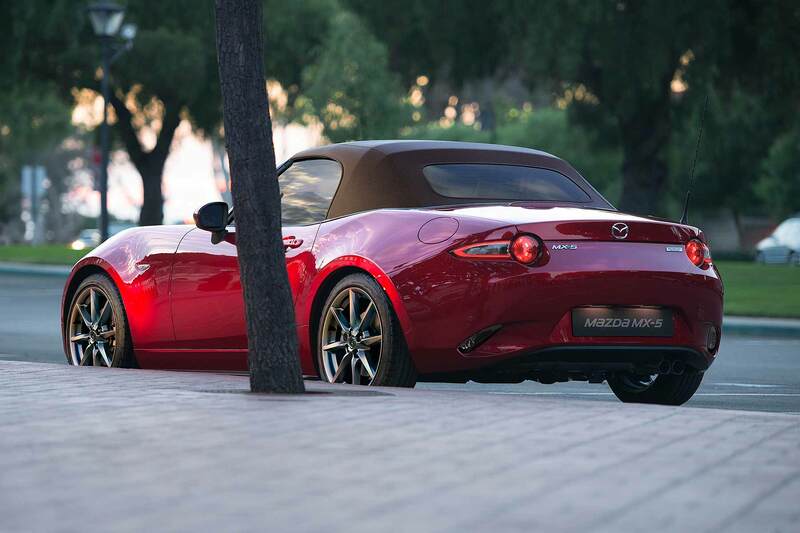 And while there are few visual changes, Mazda has sweated on the details to make the MX-5 more appealing. All models now get telescopic steering wheel reach adjustment, for example, and the seat slide mechanism has been improved so drivers sit lower and more comfortably. The biggest change on the surface are new designs of 16-inch and 17-inch alloy wheels. GT Sport Nav+ models have adaptive LED headlights, reversing camera and blind spot monitoring as standard; this safety pack is optional on the Sport Nav+. 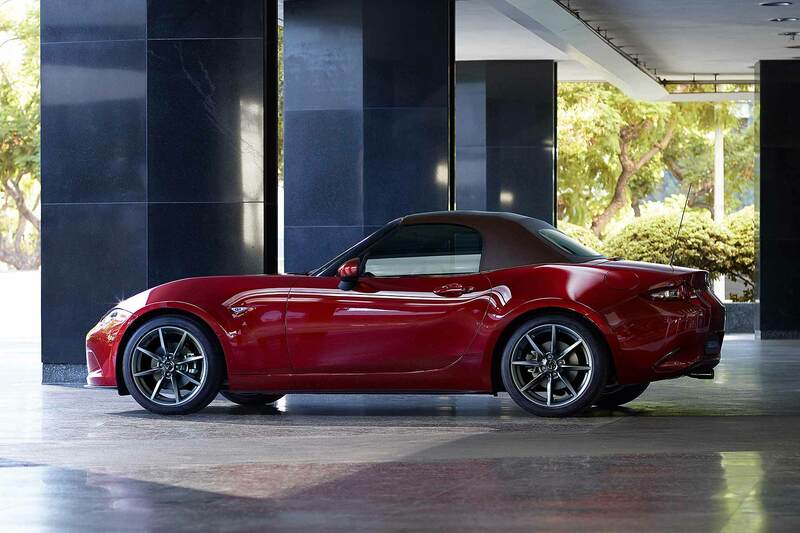 The £18,995 car is an SE+ convertible soft-top; the hard-top RF range starts from £22,595 for the SE-L Nav+. Both entry-level cars come with a 132hp 1.5-litre engine. In updating it to WLTP/RDE fuel economy test compliance, Mazda’s given the 1.5-litre a slight power boost to 132hp, and torque is also marginally up, to 112lb ft. The 2.0-litre engine has received more changes, though, which even passers-by will be aware of: the exhaust now delivers a “cleaner, more powerful engine note”. Key to the 2019 2.0-litre is its higher redline, up from 6,800rpm to 7,500rpm. Lighter pistons and conrod help deliver this, and there have also been updates to the camshafts, exhaust valves, fuel injectors, throttle valve and air intake. The result is a healthy power boost from 160hp to 184hp, which takes the convertible’s 0-62mph time down by a significant 0.8 seconds to just 6.5 seconds. Surprisingly though, CO2 emissions are lower than the slower 160hp car, thanks to the addition of Mazda i-Eloop and i-stop engine stop-start technology. Mazda UK MD Jeremy Thomson said: “When it comes to driver engagement, the current generation MX-5 has already established itself as a benchmark sports car, so with extra power, improved performance, more revs to enjoy and a sweeter exhaust note, the 2019 2.0-litre MX-5 will be more exciting and satisfying to drive than ever before.